As I mentioned in an earlier post, the paradoxical figure of Alexander continues to emerge in Book Three. I wanted to look a little at Alexander’s relationship with the Greeks, leading to the dismissal of Greek troops at Ecbatana (3.19.5-8) and the burning of the royal palace of Persepolis (3.18.10-12). 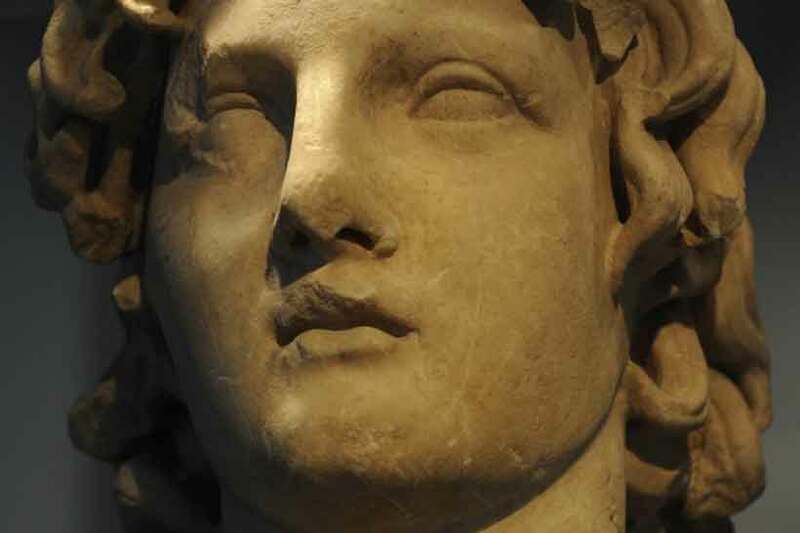 The relationship between Alexander and the Greeks proved to be a combination of admiration and distrust, a balancing act aiming for gentle subjugation—Appendix M by James Romm provides a great summary of the relationship over time. Alexander did more to spread Greek culture to the world, yet he was also responsible for the slaughter of a tremendous number of Greek civilians and troops in addition to undermining liberty in many of the city/states. The Theban revolt (1.7-9) laid bare the feelings of some Greek leaders. Footnote 1.7.11b highlights the divergence between the histories of Arrian and Diodorus, although according to Diodorus the Thebans did more than hurl` insults at Alexander: “In response, the Thebans with equal spirit proclaimed from a high tower that anyone who wished to join the Great King and Thebes in freeing the Greeks and destroying the tyrant of Greece should come over to them. (Diodorus Siculus, The Library of History, translation by C. Bradford Welles, 17.9.5). Such taunts and calls could not and did not end well for Thebes. The attitude that Alexander was the “tyrant of Greece” resonated in other cities, notably Demosthenes of Athens, who provided what support he could to Thebes. 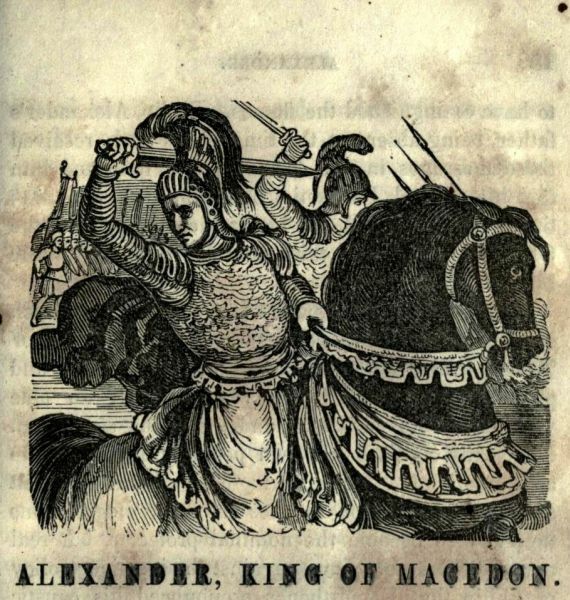 The appeal to accept Persian support against Alexander, though, demonstrates how some leaders viewed the relative threat of Alexander. Why did Alexander limit his use of potential Greek troops and ships in his invasion of Asia? While he may have believed he didn’t need them or he simply didn’t trust them, Alexander’s calculation had to consider where Greek forces could do him the most damage. He understood the dynamics in Greece and evidently was comfortable with the Macedonian garrisons and oversights in leaving possibly unfriendly Greek forces in his rear. Several times Alexander expresses concern about the Greeks rebelling while he is in Asia (see notes 1.18.8a, 2.14.6a, and 3.16.10a for a few examples). Not only were the numbers of Greek forces used in his campaign limited, compared to what was available, but they rarely show up in places of importance during the battles. Alexander exhorted them with reminders about revenge but reserved a lot of the main fighting for his tested and trained Macedonian forces. There’s a short comment during the battle of Issus (2.10.7) highlighting the ethnic rivalry between Greek mercenaries fighting the Macedonians and it’s difficult to imagine that enmity didn’t carry over to those fighting on the same side. Since the invasion of Asia seems to have been more about Alexander’s desire for expanding the Macedonian empire with a thin veneer of Greek unity and revenge, the decision to dismiss the Greek forces at Ecbatana makes sense—the excuse and the forces were an opportunistic prop. Once no longer needed, the fiction no longer had to be maintained in theory or in practice. Leaving Pindar’s house unscathed during the destruction of Thebes, sending 300 sets of Persian armor to Athens after the battle of the Granicus River, and returning statues taken by Xerxes to Athens would have played nicely for their symbolic meaning but they did little to restore freedom for the Greeks still under the practical direction of Macedon. The burning of the royal palace in Persepolis follows along the same lines but on a much grander scale, raising many questions that don’t ring completely true (to me) in Arrian’s account. The deliberate burning of the palace would have been a tremendous symbol of revenge for the Greeks. But Alexander was about to dismiss the League of Corinth forces—was this act meant as a parting gift, something the forces could carry home as propaganda aimed to mollify the Greeks? At the same time, Alexander was in the midst of lining up Persian support for his rule of Asia, especially since he had not captured or killed Darius yet. Such an act would not sit well with them unless it was meant as an example of Alexander’s power and control, similar to the destruction of Thebes. When Alexander returns to Persepolis at the end of Book Six he regrets the destruction of the palace—there’s the possibility the arson wasn’t intended but was “spun” for propaganda purposes after the fact. Or it could be some combination, an intended event that went different than planned. I welcome your thoughts on Alexander and the Greeks since these are only my initial reactions to the questions raised by Alexander’s actions and Arrian’s reporting of them.